If there’s one top that every fashion insider owns it’s this guy. 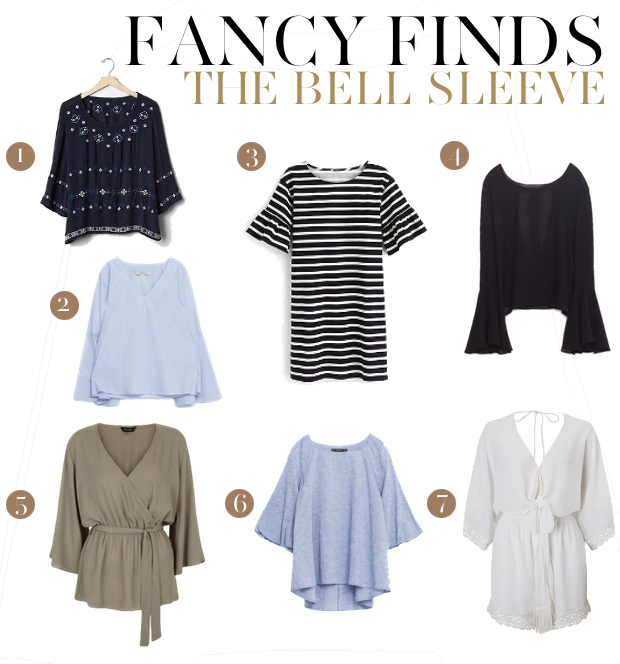 Enter the bell sleeve top. Whether paired with a mini or partly tucked into your favourite skinnies, it’s hard to resist this must have piece for your spring/summer wardrobe. It speaks chic sophistication and aches to be included in your closet this season. If you’re feet are hitting the sand this season or if you’re simply strolling the streets of your city, this piece is has summer written all over it. This must have item has taken the fashion streets by storm but lucky for us there’s plenty to go around, ranging from the ultra affordable to the super special pieces and best of all – there’s oh-so many ways that you can style this trend.